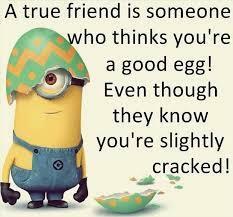 A good friend is someone who thinks you're a good egg! Even though they know you're slightly cracked! Do you ever write a really long message and about halfway through you're like you know what, they don't even care and end up deleting it. I've made out long email messages before and done similar, options are to trim the excess or have learned that draft can be saved as good talking points for a phone conversation. which may be required if text is too long for certain circumstances. I don't mid if people look at me like I'm crazy. I'm just being me. You call it it multiple personalities, I call it social networking in my head! Being crazy pertains to behaving in a crazy, idiotic or mad manner. People behave crazy at times when they are either in the mood to have fun or when they simply find something irksome and irritating. 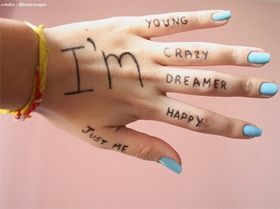 Being crazy about someone has a different interpretation altogether. You are crazy about someone means you have developed a liking for that particular person which makes you go gaga over him. In general, when one feels crazy about someone, one should have enough guts to go and confess one’s liking.